Hook It Ws - Lightweight Jacketing - Wire And Cable Bundling - Products - ZT | Zippertubing Co. This jacket requires no additional tooling and can easily be closed and re-opened thanks to the hook-and-loop closure. 0.5" 0.75" 1.0" 1.125" 1.5" 2.0" 2.75" 4.0"
The Hook-It® (WS) consists of an Aramid fabric which is impregnated with a special rubber coating and incorporates a hook-and-loop closure. Hook-It® (WS) is the best way to protect your valuable wire or cable systems from any type of weld spatter. 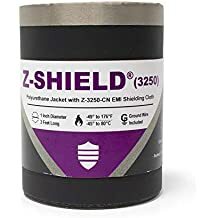 The weld-spatter protective jacketing features an Aramid fabric, which is impregnated with a proprietary special rubber coating. This product features a hook-and-loop closure system that is perfect when re-entry of your cables or wires is a necessity. Hook-It® (WS) was engineered to protect your single electrical wires or bundles of wires, as well as plastic conduit systems. The product provides excellent flexibility, durability and offers the versatility of easy removal of the protective jacketing whenever needed. If you are looking for anti-spatter protective cable management then you&apos;ve found the perfect product to fit your needs. This product has been used in a multitude of industries such as robotics, automotive, manufacturing, and many more. If you are in need of a more customized solution, contact us and speak to one of our experienced engineers today! 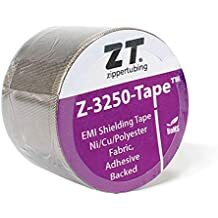 When it&apos;s time to protect your wires or cables, choose a company who&apos;s been helping customers such as you since 1957, choose The Zippertubing Company. Fits wire or cable diameters from 0.5" &hyphen; 4.0"
Cable Diameter 0.5" 0.75" 1.0" 1.125" 1.5" 2.0" 2.75" 4.0"